When I was a child, I was made to go to the Baptist church. My parents, being either hypocritical or just wanting time alone apart from the kids, hardly EVER attended. They'd drop us off for ‘Sunday school’ and our ‘youth leader’ was this hideous young man in his early 20's- tall, handsome with COLD blue eyes. He HATED me and my sister because we were pretty (HE was married to a very pious TOAD- self-hatred going on there? ), and also because we didn't come to church every Sunday and Wednesday night. We were all of like 11 years old, how DARE he treat us like that? Anyhow, I did learn those parables and things- now at least I KNOW what I disagree with! BUT I never had ANY feelings for those ‘Gods.' 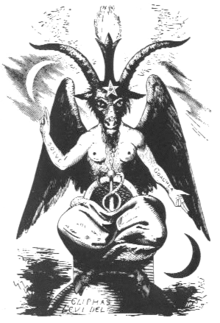 I saw Jesus Christ as a cartoon character who NEVER spoke to me at all, Jehovah was a b---d, and the only person I even began to like was that character we were all told to despise- Lucifer/Satan. I remember feeling nothing but empathy for him, wondering what the hell he did that they thought was so wrong? I just could not work up any enmity for the guy, no matter how hard they tried to convince me he was evil incarnate. I just DID NOT buy it. Also, being a misunderstood person myself, even from a young age, I'm sure I identified with him. I was browbeaten into becoming ‘saved’ and then ‘baptized’ at 12 years old because my mom wouldn't give me a moments peace until I did that. I KNEW I didn't mean it at all, but I was going through the motions to get her off my back. I remember very clearly after the baptism standing there all wet and thinking, "Do I feel any different now?" The answer was, "Nope." That same year, when I was still 12, I went on a camping trip with the Camp Fire Girls. My best friend's mom was our leader, and those camp-outs were the highlight of my young life. I LOVED being out in nature. Well, that particular time, on a Sunday morning, I was sitting there on the log and our leader was preaching from the Bible (of course), and I remember thinking, what is going on here? We were sitting there surrounded by all that natural beauty, yet being told to believe in this God and his Son who are invisible. Also, he had NEVER spoken to me and it seemed at that moment that Nature was the true Divinity. Well, after that epiphany, I sort of grew into an atheist in my 20's, but in my late 20's I began to drift toward paganism because everyone really yearns for something more- SOME sort of spirituality. And atheism usually doesn't work for most people for a lifetime. There's a REASON for that. So, I finally started meeting with a Wiccan group. I attended their public Sabbats (seasonal celebrations), and took a year of classes with them. I still have the certificate from that. BUT I eventually realized that a) some of them have doctrine that is nearly as confining in some ways as any other religion, and b) even the pagan Gods did not seem to speak to me. I intellectually ‘enjoyed’ the rituals, and sometimes I did seem to feel something... but it just wasn't enough. The Horned God himself did not speak to me ever, even though I liked what he stood for. I found that odd. In fact, the ONLY deity that ever DID do anything for me was the dark moon Goddess, Hecate. What happened was that after I came back home again after living in a terrible neighborhood, and having been traumatized from living in that situation, I therefore was psychically sensitive. To make a long story short, I did ‘protection’ chants to Hecate every day for a year and nothing bad happened to me, although I know for sure some people were angry with me for a misunderstanding. But Hecate helped me, no doubt about it- and now I know why- she is of the ‘Dark’ pantheon of Goddesses… just like Satan, et al. When I started writing a novel, two of my characters were actual Goetic daemons. I began to experience things happening in my bedroom that convinced me that SOMETHING was trying to get in touch with me. I even felt something touch my shoulder one night. Then the signs and telepathic communication and things just became so unreal that I had no choice but to believe I was being contacted, and now I know that absolutely was, and is, the case. And it just gets better all the time. I have no regrets, and even though it can seem confusing at times, even hard- I know in my heart that Satan is the most amazing God ever, and that He is as real as I am. No one will ever convince me otherwise because now my life has direction, purpose, a God who hears me and created me, and cares for me. 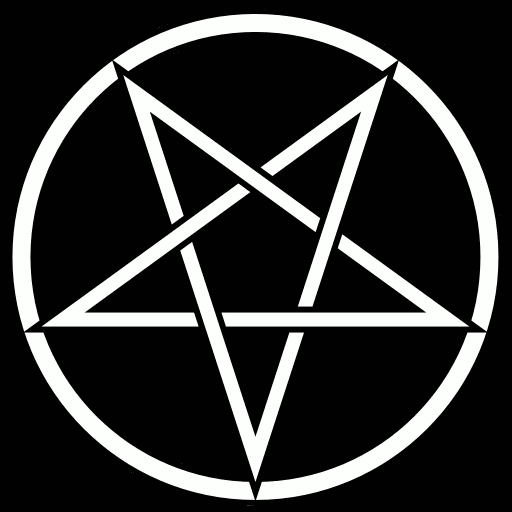 I wish everyone could know Satan the way I do. Maybe in time, through my writing and art, I will help to show the world who He really is, and how he has been terribly misunderstood for far too long.